Some discussion on twitter at the moment about whether terroir is relevant to consumers. It’s all a bit daft really, because no one has defined who these consumers are, and everyone is talking as if there is just a single wine market. To understand the wine market, the first rule is that you have to segment. Some people are really interested in wine, want to discuss it, are ‘category experts’ and are prepared to spend a lot of money on good bottles. Other people enjoy good wine, will spend quite a bit of money, but don’t want to discuss the wine or learn about it. They just like enjoying it. Others want a wine that tastes OK at a keen price. They won’t spend more. They won’t change their shopping habits to find better wines. They won’t even read back labels; let alone learn about wine. Others don’t yet drink wine, but are potential consumers who need to be won to the category. I’m sure you could segment more accurately and deeply. But this simple theoretical segmentation makes it clear that to consider the wine market as a whole will lead to a lot of confusion. For some consumers, terroir is clearly irrelevant. It’s a nonsense. Indeed, this group represents the majority of wine consumers. But because of this, to dismiss terroir as a concept is absolutely nuts, because there’s a segment of the market for whom terroir matters a great deal. And to berate the wine industry for talking about terroir on this basis is just unfair. I’ve heard criticism of late that we wine writers are talking to ourselves. We aren’t. We are talking to category experts. Yes, they may represent just a small part of the wine market. But they are the consumers of wine media. To suggest that all wine writers should begin to write for the non-involved consumers who just want something tasty and cheap to drink assumes that they want to read about wine. They don’t. I do think that there should be consumer friendly wine writing, if by ‘consumer’ we are talking about non-involved consumers. Sadly, there isn’t a great deal of a market for this writing. I do my bit, with my Sunday Express column. But when it comes to my website, I’m writing for category experts because they are the people reading. Those of us who write for high-end category experts shouldn’t feel the need to apologise. My website stats show that I’m not just talking to myself or other wine writers. Wine needs words, as Hugh Johnson says. It’s actually quite elitist to assume that ‘consumers’ aren’t interested in learning about wine, and concepts such as terroir. Once I was a newbie in the wine category, and the high-end wine discussion on the internet helped draw me in. Because wine is interesting, and in large part this is because of complicated, consumer-unfriendly concepts such as terroir. Champions of the ‘consumer’ can sometimes forget this. 26 comments to Is terroir relevant? You are absolutely right about the need to segment the market when talking about wine. However, independently of the concept of terroir, is the fact that great terroir (such as some areas in Bordeaux) produce extraordinary wines. The key element to analyze here is who is able to enjoy these outstanding wines, i.e, a Chateau Latour or a Petrus which cost more than $1,000 a bottle! Whether the buyers of these wines understand the concepts associated with the origin of the wine (and I sure hope they do! ), the fact is that they evaluate the wine based on certain characteristics of the taste that they love. At the end, it is the quality of the wine from the unique consumer’s taste that determines its value. Great terroirs and great wine cannot be separated, whether you use the concept or not. The same thing applies to wine making. I spent quite a lot of time talking to people in the trade that think that “yes, it’s all very nice [terroir wines, wines with a senso of place, that is], but the market like easy, fruity, cocentrated vanilla tasting wines”. Yes, maybe some people do, maybe the majority of people do, but why should I care? I’m not interested in making wine tinking to what “the market” wants, precisely because there are many markets, and that one is simply just not my market. A first attempt to draw the highly complex issues of terroir and buy motivation under one banner. A lot of emphasis is on the soils, little seams to be on temperatures and rainfall etc. Whilst I accept that most single vineyards have a sense of place in their wine it isn’t easy as the winemaking choices can often mask that. I will use several examples to illustrate the masking agents. Firstly, the hand of God hand of Man project that a friend and I tried. We chose a single clone of Pinot Noir and swapped parcels of fruit so we created 2 versions of wine from each patch. All 4 versions aged in identical barrels. Analysis shows that one patch produces almost double the tannin and looks darker than the other patch. However, in blind tastings with skilled Pinot makers, consumers and wine writers the best success rate was 70% but the average was closer to 50% or less. We make in a very similar style, analysis shows clear and very significant differences yet consumers struggled to see those differences. What factors could have upset the project? We could have picked at different physiological ripeness, we didn’t. One wine could show the spoilage yeast, Brettanomyces, neither did. One wine could show higher volatility, they were almost identical. One wine could have had new, assertive oak and the other an older oak, they all had the same second use oak. Despite all this it was hard for people to see the difference. On the other hand, I ran a blind tasting with 3 Pommard Rugiens and 1 x Volnay Mitans, all from 2006. The Mitans and one of the Rugiens were by Jadot as I recall (it was 2 years ago). The 12 people present were asked to nominate the wine from a different terroir and 10 present successfully named the wine that was indeed the Volnay. I have tried repeating the experiment with different burgundy terrors but none has given as much success. I have also been interested in components that influence structure/feel in burgundy, such as oak, brettanomyces and tannins. I spend a small fortune to get burgundies tested and find that most I have tried in recent months have some level of the 4EP and 4EG released by that yeast. I feel that even low levels can change the fruit/savoury aspect of these wines let alone the textural impact on structure. So the very simple aspect of soil being different is, in my opinion a very over rated aspect of terroir. It is the most obvious unique feature of our vineyards though. However, vines are living things and run their own version of homeostasis and as a result can extract what they want from a huge variety of soils without changing their real performance. The critical variations are things like pH of the soil (extreme ends) and available nitrogen. If a vineyard is run without use of fertilisers the site temperatures, winds and rains will be able to show their influence, even if small relative to the possible impacts of human influence (including use of fertilisers). Great summary. Another thing to keep in mind is that all those people who dont know/care about terroir look to their “category expert” friends for recommendations. So you are still influencing them by talking about terroir. To answer: Yes terroir is relevant. Burgundy wine is all about terroirs. Fortunately there is a market for that. Good luck in writing and enjoy great terroir wines. Four things: 1.For a good percentage of the people in our country, wine is a dream drink for better times (with nearly 20% of us below the poverty level). 2. A good part of the group that can afford any wine at all falls in the American sugar-addicted category and wants white zin, wine coolers,and/or thinks of wine as something to “drink” like the popular sweet cocktails–rather than something that fits and sits squarely on the table with food each night. 3. The culture of food and drink in any given place is slow to evolve and while some of our states have been producing wine for a longer time, most of our wineries are newbies compared to those in Europe where wine is so much more ingrained as a part of daily meals. Remember those maps in Social Studies? They showed which states produced what crops? Are wine grapes on them yet? 4. As a food writer, I encourage wine with meals often…but I also encourage wine to be bought at three levels: for daily consumption, for a monthly treat, and for birthdays, anniversaries, promotions, weddings, and funerals. I coldn’t agree more Jamie. People engage with wine on whatever level they decide to. To dumb everything down to the lowest denominator is pointless as the people it would be written for wouldn’t be interested in reading it anyway! It shouldn’t be unnecessarily complicated, but nor should it be dumbed down to the point of inaccuracy either. There’s already too much of THAT in the world! Badly defined discussions seems to be a consistent theme in wine media. Agree with Jamie that to treat wine consumers as a homogenous group is not useful at all. The notion that place matters in agriculture is true of ALL produce! Most, if not all consumers will happily and with no baggage of insecurity taste and agree e.g. that strawberries from Kent are different than those from Oxnard (California). So different grapes from different sites will taste different is really not THAT complicated. I don’t know of any consumer who would argue that grapes MUST taste the same irrespective of place. The precise chemical, biological and physical reasons why may be complicated, but the fact that it can be different is not. It is so so patronising of the wine media to assume that very simple concepts is beyond most consumers. They may not care (and they have the right not too! ), but don’t assume that they can’t understand. Agreed – what I wonder is why there are so many column inches given to to writing wine for the people who don’t yet read about it! Certain wine writers seem to only write for the mainstream publication general readership, when the people who will read those columns are probably engaged consumers (and category experts) who will read the article and dismiss it as irrelevant to them. This is why places like your website is probably one of the more influential UK wine writings – its current, directed at people who will actually read it, and importantly wine buyers and sellers are reading it which means it will help to shape industry thinking and trends (at the fine, but niche end of things) This obviously only really counts at the cutting edge of wine, Burg and Bdx (and to a lesser extent Rhone) won’t be shaped so much by anything other than history. But Portugal, New Zealand, Australia, Argentina, South Africa – and even places with history like Italy can be heavily influenced. Why? Because no buyer will ignore something if lots of respected writers are writing about something they can’t afford to ignore it. In terms of terroir, I’m not so sure that even some ‘expert’ drinkers are bothered. Bordeaux doesn’t talk much about Terroir, and whilst Burgundy does, would a DRC drinker care about the soil types, exact slope etc – or just care that they are drinking wine from the best estate? I Think you are absolutely right. The Wine Market is divided in several groups. There is huge group which buys wine as a consumers product, the chapter, the better. In Germany for examples nearly 60% of all wine being sold is sold by the so called Discounters like Aldi, Lidl, Netto and Penny. Noboldy who buys Wine there is interested in terroir. On the other hand there is a growing group of people who is interested in more than just consuming wine. Those people are – if you explain, if you take them by the hand, if the find somebody where they orientate – interested in wine growing, in winemaking and also in terroir. When i began to write about wine in my blog, five years ago, i was also a newbie and didn’t know too much about terroir. But i discovered the enigma of terroir within the years and so did the readers. And, as you say, as a newbie i needed the helping hand of the pros, and serially discussions and blogs helped me to find my way. Those who are interested in terroir will always be a small group of all wine drinkers but that’s the group for whom the serious vintners make their wine. Why should such a well known vintner like Heymann-Löwenstein (Terassenmosel) for example divide his famous vineyard Uhlen in three parts to make three wines? It is, because there are three very different forms of schist in the vineyard as different the schist is, as different are the three vines. And those, who love Mosel-Riesling for example will always benefit the work of the vintners who extrapolate the variety of terroir. Totally agree with what you say about the wine market. We don’t talk about the “food market” or the “clothing market” when we discuss fine food and fashion but for some reason we lump wine and the people who drink it into one big bucket. Where does terroir fit into that spectrum? I’d argue that terroir applies across the whole wine market, it’s not just of relevance to the “category experts”. In countries like France and Italy, people who drink cheap, everyday wine still understand the conecpt of terroir. They prefer a Chianti to a Montepulziano or a St Chinian to a Cotes du Rhone. Even in simple wines the terroir gives it the taste. Perhaps more than in super-premium wines some would argue. Terroir has become irrelevant to the sector of the wine market who have been told that grape varieties and the winemaker are all important and place their faith in brandnames (or discount offers). It’s the job of those who love wine – producers, journalists and retailers, to encourage that market sector to rediscover what real wine is all about and terroir is part of that. Informed consumers, consumers and non consumers. It’s easy to guess who this blog is for. The idea is to move consumers through education and information into the informed consumer level and when a person becomes a consumer enlighten them. Of course “terrior” whatever it is, is important. I have been following the discussions by those that don’t only include the land and climate but also the people in the term terrior. I guess that makes me an informed consumer or wine geek, eh. As noted some years ago – Line up a range of masked wines and ask tasters to note which ones have “terroir” and which do not. No one will be any the wiser. On that great big mystery word “terroir”. What was it that George Orwell said in discussing the English language and journalism- “Never use a foreign phrase, a jargon word…if you can think of an everyday English equivalent” The English word “character” is perfectly adequate – varietal character, regional character, individual character, a house style, the winemaker’s style or thumbprint. Pretending “terroir” can’t be translated is just plain old fashioned snobbery, as is the use of all political weasel words. I think critics of terroir have a valid point, primarily because most of the references are to some kind of supposed minerality in wines. Basically this has been found wanting on every front in terms of scientific analysis. It is neither logical as aproduct of a vines root system nore does it show up in post analysis of wines. If something is wrong lets fess up and start to address the issues. Too may wines over many years have ridden this terroir bandwagon and have got away with selling high priced rubbish. I think we need to challenge this holy grail at some point and if it isn’t the professional writers who will? Regardless of who you are communicating to, we need to address this simlistic acceptance of something the scientific community think is nonsense. There is no doubt that wine makers are the single most critical variable after water supply. Even the most detailed study of classed Bordeaux’s could find only one variable indicative of wine quality – water supply. Whither the soil factor??? I don’t think anyone could possibly disagree with this sensible common-sense post, on market segments and consumers’ different level of interest in wine!!! Talking on Twitter about terroir or other complex issues is impossible, though it does pass the time of day and make you think! I think that understanding terroir is the key to unlock the world of wine beyond the branded commodity product (which is where most of us start our interest in wine). Going beyond brand names and grape varieties and to start looking at the relationship between vines planted on a particular hillside and what you can taste and smell in your glass is exciting. Exploring the notion that wine can have a sense of place – from climate, soils, grape variety, wine making style – I would have thought is the “pull” for people to try something different. Terroir is of fundamental importance to those of us who make wine. The understanding of the characteristics of each parcel allows us to adapt our viticultural practices accordingly and create the best blends. We then use this knowledge to explain to importers and journalists why we have used different labels and why wines have a particular character. We understand each other thanks to years of experience, tasting, travelling, studying…. What we then tend to forget is that 95% of the wine drinking public has no idea what we are talking about. Not a day passes when someone doesn´t come to my cellar and apologise for not knowing much about wine, or for not being able to tell the difference between one cuvée and the next. Why should they feel the need to apologise? I don´t apologise to my doctor for my medical ignorance! The concept of terroir, just like maceration time, barrel provenance, soil types, wild yeasts is like a foreign language to most. All they need to do is drink wine and enjoy it. The rest is my job. Those wine lovers to whom the nuances of terroir mean anything at all are a tiny fraction of consumers. Jamie – well done on sparking a discussion on the two most complex subjects in wine on the same post. Market segmentation and terroir. Of course all wines are the result of a myriad of different elements, ranging from the soil, climate, producer, production method, storage, varietal, age of the vine and a whole host of other factors all of which combine to create the finished article. This brings to mind the classic episode of Oz Clarkes trip to France with James May and the struggle that Oz had to explain the concept of terroir to a very skeptical James. James got it in the end I’m pleased to say. A really clear and incisive demolition of lazy thinking. As you so eloquently point out, there is no such thing as ‘the consumer’! We spend too long dissecting opinions that state ‘the consumer has moved away from overoaked chardonnays’, or ‘the consumer drinks more rose in the summer’ without ever acknowledging that each individual consumer is unique, and marches to their own beat. Some consumers drink rose all year round, some only drink rose in the summer. The net effect of loads of consumers independent choices gives rise to the study of consumer trends. This is a perfectly valid science – but it is lazy to extrapolate from the evident truth that ‘more consumers are drinking NZ Sauvignon nowadays’ to start believing that each and every consumer has increased their preference for NZ Sauv. There’s loads of people out there who have never liked it, and loads who used to like it, and are now bored of it. The behaviour of the people who are unaffected by, or acting in opposition to the trend is masked by the large number of people who follow the trend. Well done for nailing this, and let’s watch out for lazy thinking (in ourselves as well as in others!). Incidentally – great book – I am half way through it, and very much enjoying it. Well done to you and Sam. Great post Jamie. Especially on segmentation. It’s like books (for example). Many different types of people read the same book, and get very different things out of it. Some want to analyze and discuss what they’ve read, others just to soak up the atmosphere. Some speed-read, others pore over every word. In wine the most important thing I think is to convey enthusiasm for the subject, whatever the wine in question. A great £5 Falanghina as you point out can be just as rewarding as top notch Burgundy in the right context. Thanks for calling me a high end category expert. To assume that the consumer is neither interested in nor has the capacity to understand wine beyond its variety or varietal category is not only the height of elitism, as has been already noted. It is also to be completely ignorant of the rise of the specialty food movement, which began before the recession and has continued apace as consumers seek to make their spending more meaningful (linked as it is to locavore and sustainability movements). Terroir matters to consumers, whether we’re talking strawberries, butter, coffee, chocolate or wine. Of course they aren’t wandering about with the word “terroir” on the tip of their tongues, but provenance and story matter, particularly for discretionary spending. I am a wine buyer for a local retail grocery chain (nine stores). Our sales, both company-wide and wine-department specific- have grown significantly despite the economy. We have endeavored to make the stories of our producers and the unique characteristics of our wines relevant- making terroir matter without indulging in pedantry. Our stores’ wine sets are arranged by regions – with the direct intention of communicating that wine is more than the grape variety (ies) in the bottle. That’s the challenge and the joy. And we’re not talking premium wine here- $10 Picpoul de Pinet, $14 Yakima Valley red blend, $16 Cahors…It’s about the joy of working with customers who had no idea that red Burgundy was crafted from the same grape variety as their go-to red from the Willamette Valley and talking about what makes the wines distinct. And the stylistic choices that make one WV pinot different from another. A wine blogger on Twitter stated that the first thing you discuss with a customer is grape variety. That made me laugh. No, the first thing you do is ask questions, then you listen. Thus begins the dance of putting just the right bottle of wine in that consumer’s hands, regardless of their knowledge base. There is no typical encounter as every consumer arrives with a different set of expectations. 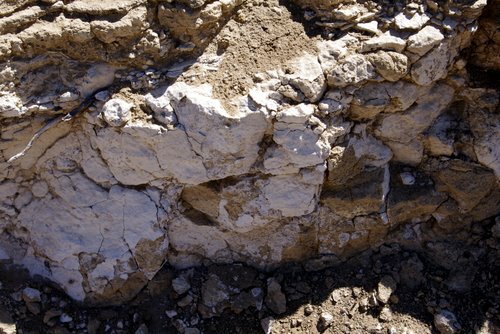 Terroir is but one component of a wine’s “character” (thank you, Martin for pointing out that wonderfully utile but simple word)- encompassing not only the specific conditions of geography, geology, climate, appellation strictures and traditions, but also vintage, winemaker style and production choices. We routinely reject wines that adhere to a certain style but remain utterly devoid of character -their terroir subsumed by a winemaker’s heavy hand. And we also accept wines that strike a balance between our inherent preferences for wines of distinctive character and that of the consumer’s continued (but changing!) preference for the supple and sweet. You know, the Pinot Noir that tastes like Syrah. As has been pointed out, it is tilting at windmills to lump and analyze wine buyers as a single category. But as a retailer, it’s my mission bring quality wine to my customers and sell it using language that is meaningful to them, educating without patronizing. At any rate, Jamie- thank you for the excellent post. From a purely crass marketing perspective, making terroir relevant pays off if it’s pulled into a broader category of character. And it’s relevant to this wine buyer who is charged with seeking out wines from producers who are not crafting their wines according to category or sales metric. Martin – I disagree with you a little as “terroir” must include a sense of micro-climate as well as soil composition etc etc so “character” is a bit too simplistic I think. The French language has many words which cannot be trnaslated into English with a one-word equivalent and I think this is one of them. I really loved the video jamie made a while ago about “terroir” and since I watched it, more pieces of the wine puzzle came together. There will always be people looking for knowledge. Fortunately it’s available! Well, I am not sure about the UK, but I carried out a research for the University of Florence using conjoint analysis on a statistically significant sample about the issue. The result was that terroir was by far the most important attribute towards wine purchase. It is possible that it doesn’t attract the average buyer’s attention as a cultural element, but as a brand it is still the most important drive in the wine purchasing process. This is at least what’s happening in Italy, I think that countries with an advanced wine culture as the UK don’t differ that much. I would say that terroir appeals to many segments, but it is perceived differently by each one of them. It responds to different needs in a different way. Looking at Maslow’s hierarchy of needs, to an advanced drinker, terroir could respond to his needs of belonging, esteem or self-actulisation, to a basic drinker only to a need of safety.